Do you want to live broadcast to Youtube? Well, check this list of the best free live streaming software for youtube and twitch. Platforms such as Twitter, Facebook, Twitch or YouTube allow you to broadcast live to your followers or audience in an economical and high-quality way. Who was going to tell you that one day you could broadcast live on the Internet, without having to buy space on television? In addition to YouTube, services like Twitch or social networks like Twitter, Instagram and Facebook make it very easy for you to record and share videos but also to create a live broadcast for your fans, wherever they are. Broadcasting live over the Internet is cheap and available to anyone. And if you want to do it professionally, you probably want to get a good video camera and use one of the tools we propose below. They are designed for all types of recording and broadcasting of videos, either to mount a simple video blog or to broadcast games of live games. So let’s see the best free live streaming software for youtube and twitch. 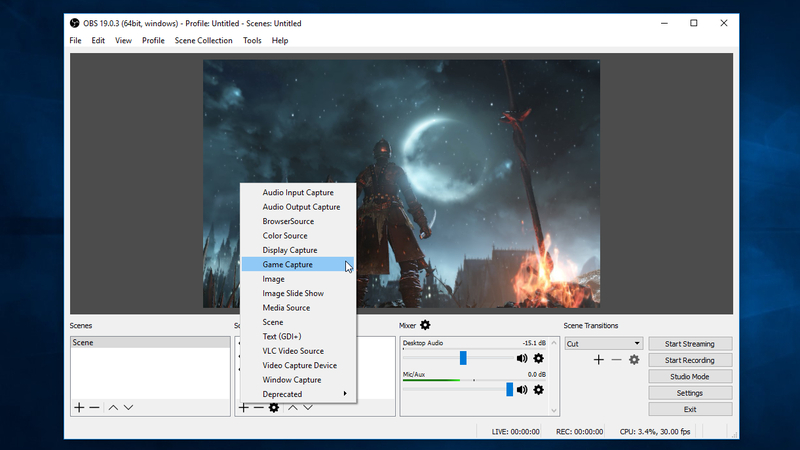 Known as OBS, OBS Studio or with its full name Open Broadcaster Software, this free live streaming software for youtube and twitch is available on Windows, Mac, and Linux. Among its particularities, it allows you to display several elements at once, such as your computer’s desktop, the game you are playing, your webcam or different cameras connected simultaneously. Besides, it facilitates the management of the sound of the different connections, being able to silence or expand the channel that interests us to prioritize. Although its configuration options aren’t very intuitive, it has proper help and its user forum, allowing to broadcast live on Twitch, Mixer or YouTube, among other platforms. 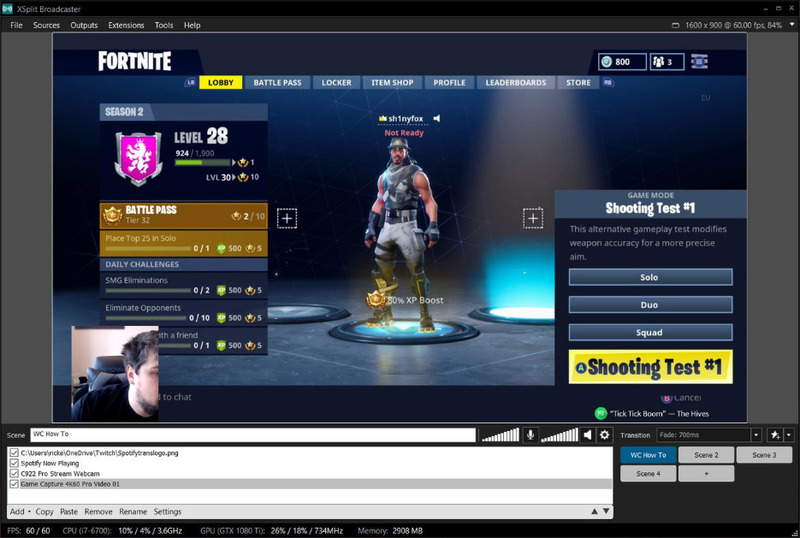 XSplit is a free live streaming software for Youtube and Twitch to perform live broadcasts to different platforms such as social networks, CDN or video distribution platforms. It has two versions XSplit broadcaster and XSplit gamecaster that is optimized for video games. There is a free plan and a premium one, with free XSplit you can make simple transmissions, where you only want to transmit what you share on the screen, the webcam or a video game. For chat features, to show statistics on screen or higher transmission resolution, you must opt for the premium option. You can transmit up to 720p without a watermark, but you want higher resolution it would have to be with a watermark. Although the audio is limited to 96kbps and mono, that does not impact too much on the quality of the video. The desirable thing is that the sound was 128kbps and stereo but with 96kbps is enough to be heard well. As for the Frames per second (FPS) only allows you up to 30 FPS without watermark, but they are enough for a business transmission, a video or an event. Also included is the broadcasting to different platforms such as YouTube, Facebook, Twitch, etc. Broadcasting the webcam of your computer is possible. You only have up to 4 configurable scenes, which can also be enough for transmissions that do not require a lot of production. Lightstream is an intuitive free live streaming software for Youtube and Twitch that allows you to broadcast live videos directly from our Internet browser, all without the need to use additional apps. Besides, its use doesn’t require advanced technical knowledge, as in other similar alternatives. To start the process, after accessing the Lightstream portal, click on the Start Streaming Now button, and then select the web service through which you wish to perform the live broadcast. Here you have at our disposal several of the most popular apps in this regard such as YouTube, Facebook, Beam or Twitch. Once the service through which you are going to issue is selected and you enter your relevant credentials, then the Lightstream own interface will be loaded so that you can start the actual broadcast. From this and to start broadcasting as soon as possible, press the Go Live button. You also have various configurable devices such as selecting the path for taking images and audio, inserting texts or still photos, among other effects, assign a title to the broadcast or create several projects of this type. Therefore, thanks to Lightsream you can send live videos to our contacts where you will only have to specify the additional elements that you want to add to the broadcast, all without the need to configure anything, so it is within reach of any user that wants introduce in these multimedia environments. 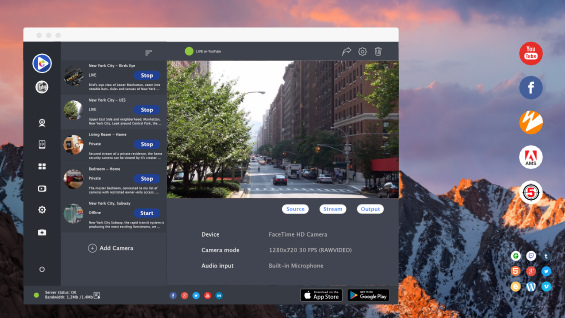 Another option that combines ease of use and bulk functions is Cameleon, an free live streaming software for youtube and twitch installable on Windows and Mac. Cameleon supports several cameras at the same time (Web, USB, GoPro, the desktop of the PC or Mac), as well as the possibility to choose the broadcast quality (including high definition), to incorporate or not the microphone audio, etc. In short, Cameleon is designed to not lose you in menus and configurations. Connect, start the broadcast and you’re done. Wirecast live streaming video software, which is available for Mac and Windows, is the perfect streaming solution for both professional and amateur video productions. Thanks to Wirecast, it is possible to condition a computer, either portable or desktop, in a television studio without problems. The software now acquired by Telestream is perfect for live broadcasts, webinars, webcasts, sports, religious services, education or training videos, and more. 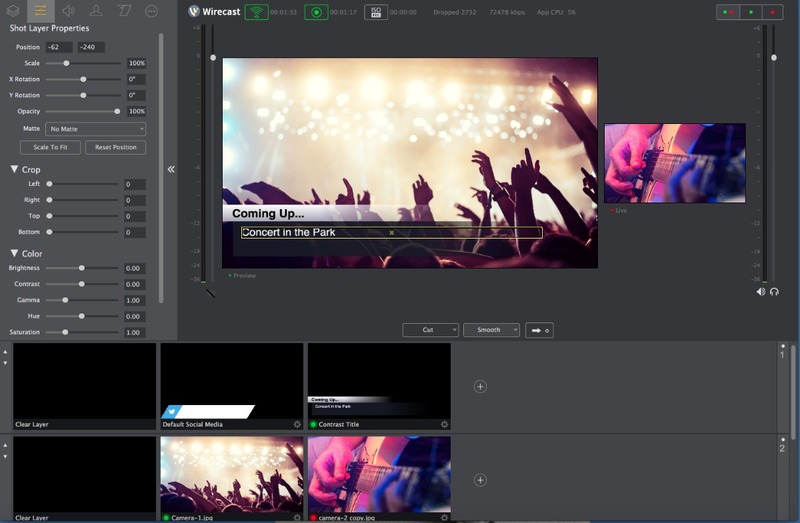 That’s not to mention that Wirecast is considered the best-selling free live streaming software production system in the world and also includes a title, chroma, audio mix, streaming to Facebook live, YouTube, Twitch among others and is compatible with USB, HDM, IP, and HDSDI. So far those the best live streaming software that you can use to broadcast live to Youtube or Twitch easily and with a handful of tools and features that will make you stand out. Do you use another software for live broadcast? Let me know in the comment section.